President of Botswana, Mokgweetsi Masisi. Lobatse — Botswana Democratic Party (BDP) members have been urged to promote unity ahead of the party's presidential elections billed for Kang in three weeks' time. The call was made by President Dr Mokgweetsi Masisi who will face challenger Ms Pelonomi Venson-Moitoi in a historic contest. This is the first time in the party's over five decades of existence that its incumbent leader is being challenged. Speaking in Goodhope during the BDP southern region special congress on March 16, President Masisi urged delegates to control their emotions during the Kang presidential elections advising that the losing camp must accept the results with humility. "Right after the announcement of the results we are one party, BDP under one leader and we move forward and launch the manifesto as BDP. You must promote unity. You must learn to console those who did not make it," he said. He canvassed for support from the BDP southern region, which comprises Lobatse, Goodhope/ Mabule and Mmathethe/ Molapowabojang branches, and further called on the party to heal rifts and unite in order to win the general elections later this year. The President challenged those displeased with the decisions he had made since taking over the presidency of the country in April last year, to state clearly what they were unhappy about. He said he consulted cabinet and relevant stakeholders before making every important decision, including review of the alcohol trading hours. "If I have erred somewhere, please be honest and tell me where I have erred. I do not regret any decision I have made because I consulted," he said. He said he assumed the presidency knowing the responsibility it placed on him therefore he consulted cabinet and people before making decisions. 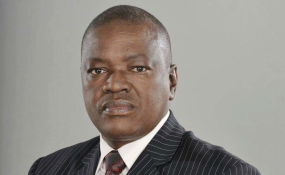 Dr Masisi took a swipe at those questioning his leadership experience and suitability to lead the country and the BDP saying he served diligently as junior minister, full cabinet minister and vice president over the last decade. In addition, he said he served the BDP from a young age and was well versed with its ethos. He said his achievements since April 2018 included mending relations between government and the civil service. "The civil service was angry with government and I can state confidently that I have managed to bring peace between government and the civil service unions," he said. Dr Masisi said since the public was concerned about corruption when he took over, government was working hard to address the issue. "I want to focus on eliminating corruption. Tell those who are disturbing me to stop it. I am empowered by the supreme laws of this country to take the decisions that I do because I want a clean government. A clean party and a clean government benefits all of us," he said. The region's women representative Ms Tiny Dinoko assured Dr Masisi of their support in Kang. Specially Elected MP Mr Eric Molale, who is the prospective BDP candidate for Goodhope/ Mabule constituency echoed Ms Dinoko's sentiments. "I assure you that we are going to vote for you in the southern region," he said.